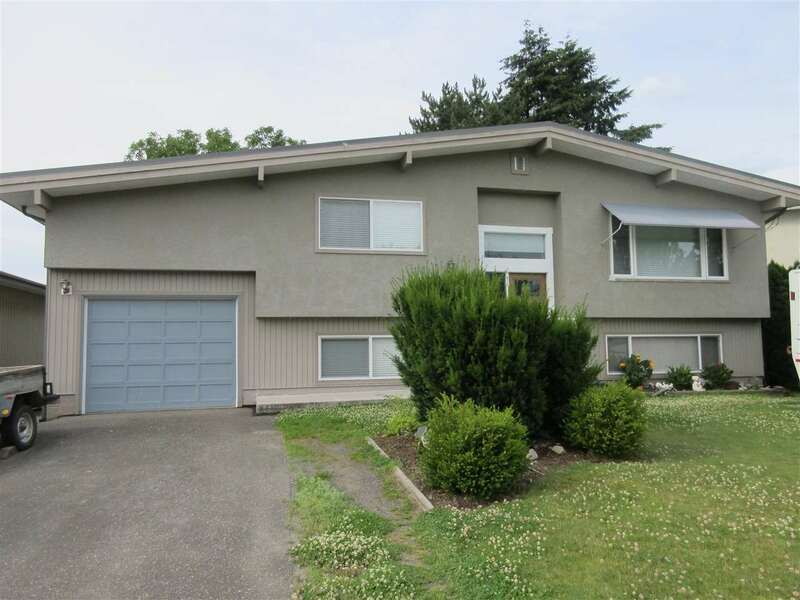 I have listed a new property at 10198 BEVERLEY DR in Chilliwack. This beautiful home shows pride of ownership! Loads of modern updates! With 2 bedrooms on the main floor & a one bedroom suite on the lower level. 2 full baths. Large living room & separate dining with built in china cabinet, kitchen has curved counter space & tile backsplash, hardwood flooring on the main level. Lower level features a 1 bedroom suite with a kitchen, living room, eating area, full bath. Laundry on the lower level is separate from suite. Huge 2 level sundeck, upper part is covered & partly enclosed for privacy, an inviting gazebo awaits on lower deck. Large fenced yard with mature evergreens & shrubs. Complete with air conditioning/heat pump & a newer furnace & H20 tank. Polypropylene Hi-grade roof.